On Tuesday, May 15, at 7 pm, the Friends of the West River Trail will present “The 39 Steps” a Hitchcock classic at the South Londonderry Depot. Doors will open at 6:30 p.m. and light refreshments will be served. South Londonderry Depot, 34 River St., South Londonderry, VT. The Friends of the West River Trail present Hallelujah the Hills! 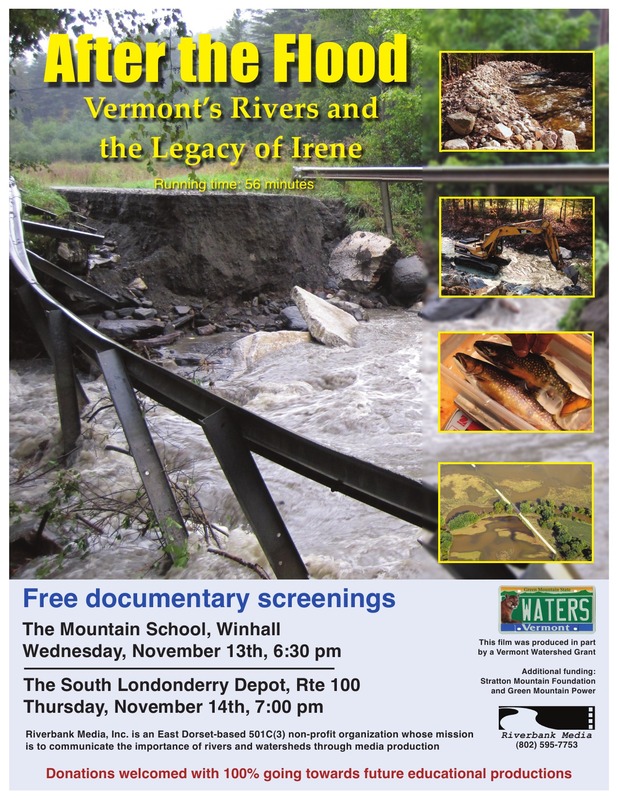 Please join us on Thursday, March 10, 7:00 PM at The South Londonderry Depot for a rare opportunity to see this zany, Vermont made film. Hallelujah the Hills is a zany, indie comedy shot locally (South Londonderry) in 1963. It received accolades at film festivals (Cannes, New York) but was very rarely shown in theaters. Hallelujah the Hills (1963) was written, directed and edited by Adolfas Mekas. The picture was his first feature film. “Two young men, Jack and Leo, are both courting the same girl. For seven long years they persist, but she finally gives herself to the ‘horrible Gideon.’ In a sense, just as this is the pretext for the film, so the courtships of Vera is a pretext for Jack and Leo to camp out together in the Vermont woods near her home, and to indulge themselves in the wildest of horseplay and high jinks. The film has a Giffithian flavor, a lyrical naivete, which is extremely touching. At the same time it is full of sophisticated film parodies – Rashomon, the New Wave, Douglas Fairbanks, Ma and Pa Kettle. In short, this is one of the most completely American films ever made, in its combination of anarchistic wackiness with a nostalgic sense of the lost frontier and (maybe they’re both the same) the magic of youth. In 1963 after screenings in the Cannes Festival Critics’ section, the Montreal Film Festival and the Locarno festival where it won the Silver Sail, HALLELUJAH THE HILLS, Adolfas Mekas’ first feature film made its USA debut at the First New York Film Festival at Lincoln Center on September 14, 1963, at a 6:30pm screening. It received rave reviews and went on to a 15-week engagement at the Fifth Avenue Cinema in New York, and movie theatres around the country. Currently, it is available in 35mm from Anthology Film Archives and the Museum of Modern Art, where it is also available in 16mm. Three months ago, a modest little Vermont-made farce called “Hallelujah the Hills” surprised and delighted patrons of the first New York Film Festival by boisterously affirming that life can be a ball and movie-making can be fun. This festive philosophy was broached to a commercial audience for the first time yesterday at the Fifth Avenue Cinema — as close to its spiritual Greenwich Village home as current distribution policies allow. Judging from the response, it should stay there for quite a while. For this unpretentious exercise in low-budget cinema, made by a group of newcomers with little more than a camera, a few reels of film and a lot of imagination, is the wildest and wittiest comedy of the holiday season. Plotless and pointless, seemingly without a care for structure or cinematic style, it is infuriatingly unconventional and wholly disarming. The story, such as it is, has young Mr. Greenbaum and his ebullient friend, Peter H. Bear, as friendly rivals for the hand of Vera, a lovely and enigmatic winter sprite. The role is mimed with gusto by a pair of actresses, Sheila Finn and Peggy Steffans—since Vera, it seems, is seen differently through two pairs of eyes. If the idea sounds far-fetched, it doesn’t really matter—either to the unsuccessful suitors or to the viewer. The two young men are beatniks on a binge, and their seven-year courtship is merely an excuse for a succession of cinematic sight gags, staged with infectious gaiety by the inventive Mr. Mekas as a tribute to his mentor, Mack Sennett. Sterner spectators may quibble that the quality of the mirth tapers off toward the end, but the anarchic spirit is hard to resist. The game’s the thing in “Hallelujah the Hills” and a fun movie about the fun of movies emerges as an outrageous lark. Alfred Hitchcock was a master of suspense, mystery, at times horror and even humor. Two upcoming Londonderry Depot events on Hitchcock are featured in the Manchester (VT) Journal Arts section. To read the full article, click HERE. The public is invited to two events in early May celebrating the career and legacy of famed film director Alfred Hitchcock, both taking place at the restored South Londonderry Depot on Route 100 and hosted by the Friends of the West River Trail. The first, on Friday, May 2, at 7 p.m. will be a presentation of Hitchcock’s career, supported by clips of his most renowned works, by film expert Rick Winston. Two weeks later, on May 16 at 7:30 p.m., the Friends of the West River Trail will present a screening of “The Trouble with Harry,” perhaps Hitchcock’s most comedic venture, though still with a touch of the macabre. The Depot is handicapped-accessible. The events are free and open to all. The first, on Friday, May 2, at 7 p.m. will be a presentation of Hitchcock’s career, supported by clips of his most renowned works, by film expert Rick Winston. Winston’s presentation consists of 12 film clips, from “The Thirty-Nine Steps” (1935) to “The Birds” (1963), with a discussion of the evolution of Hitchcock’s craft, an exploration of his favorite themes and motifs (innocence and guilt, ordinary people in extraordinary situations, thrilling climaxes in public places, inanimate objects which take on great significance), and his work with famous collaborators. Winston grew up in Yonkers, N.Y., and became hooked watching old films on TV at a young age. He went to Columbia College and University of California, Berkeley. He moved to Vermont in 1970 and founded the Lightning Ridge Film Society, which morphed into the Savoy Theater in 1981. He was a founder of the Green Mountain Film Festival and was its Programming Director until 2012. Since 2009, he has been teaching film at Burlington College and the Community College of Vermont. Winston’s presentation is sponsored by the Vermont Humanities Council as part of its’ Speakers Bureau program. The Vermont Humanities Council is dedicated to creating a State in which every individual reads, participates in public affairs, and continues to learn throughout life. Thanks to the sponsorship by the Humanities Council, there is no cost to attend. Voluntary contributions to support the preservation of the Depot will be gratefully accepted, but are not required. 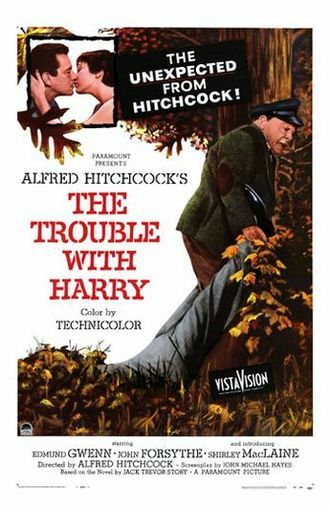 On May 16 at 7:30 p.m., the Friends of the West River Trail will present a screening of “The Trouble with Harry,” perhaps Hitchcock’s most comedic venture, though still with a touch of the macabre. The story is set, and partially filmed, in Vermont and, unlike some of Hitchcock’s films, will not afflict its viewers with recurring nightmares. Fledgling performers appearing in “Harry” include Jerry Mathers, before “Leave it to Beaver,” and Shirley MacLaine (her film debut) alongside veterans John Forsythe and Edmond Gwenn. 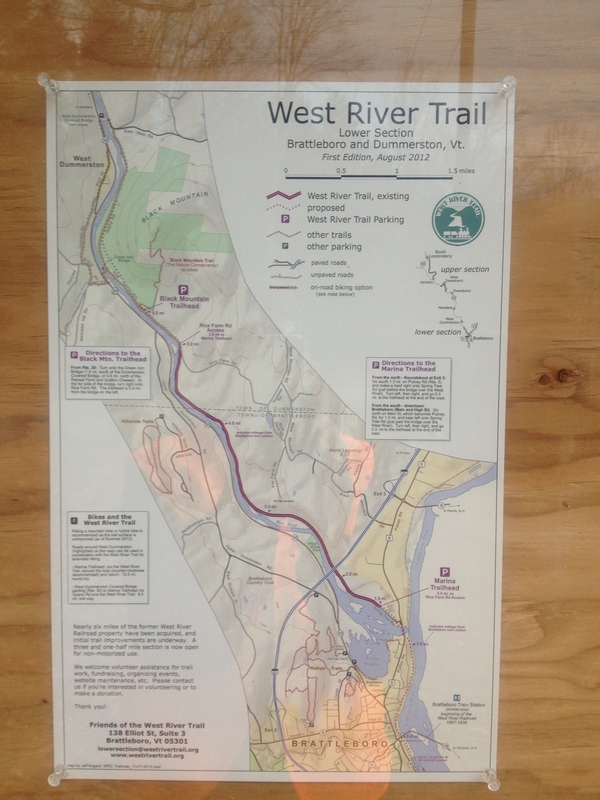 This is a community event hosted by the Friends of the West River Trail. There is no admission charge. Again, however, voluntary contributions to assist with the upkeep of the Depot will be accepted. At the recent annual meeting we watched the 7 ½ minute video of the West River Trail, presented by its creator, Tim Lawrence. This upbeat, fun journey on the trail with Tim and his Siberian Husky, shows viewers where to park at the various trail accesses and what type of conditions to expect. This video can also be found on our FWRT Facebook page and You Tube.